Incumbent Governor Pat McCrory spent 14 years as the mayor of the state's largest city, Charlotte, before making a run at the governor's mansion. He lost his 2008 bid but won the gubernatorial race in 2012. Four years later, he faces a tight battle with democratic challenger Attorney General Roy Cooper. Campaign issues include House Bill 2, voter identification, the state of the economy and body cameras. 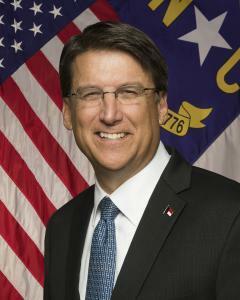 Host Frank Stasio talks with Governor Pat McCrory about his priorities and his re-election bid. Host Frank Stasio talks with Governor Pat McCrory.